The Forward Recruitment Forum brings together the Lebanese workforce with more than 200 local, regional and multinational leading companies, and others at BIEL. 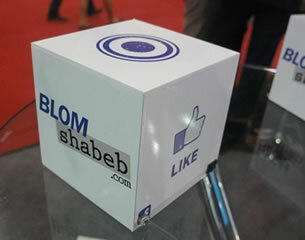 With Sociatag Like & Checkin Boxes, and a Facebook Competition Photo Booth, BLOM shabeb was able to gather more than 15000 likers in a span of 3 weeks. Click here to check photos of the event.